proposed for WebCGM 2.0, but which were insufficiently mature at that time. in agreement to carry it out. 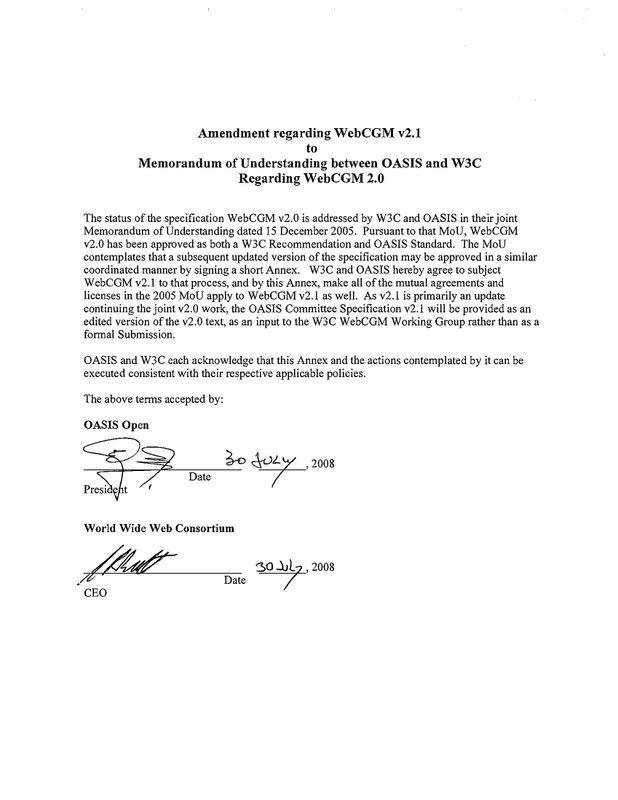 2.1, was signed by Steve Bratt of W3C and Patrick Gannon of OASIS . request for minor changes (in the SVG charter, which were adopted). 2.0 Recommendation is updated, and a link added to the MoU ammendment. Next message: Thierry Michel: "[Fwd: Join the WebCGM Working Group (Call for Participation)]"
Previous message: Thierry Michel: "diff files from WebCGM 2.0/ WebCGM 2.1"